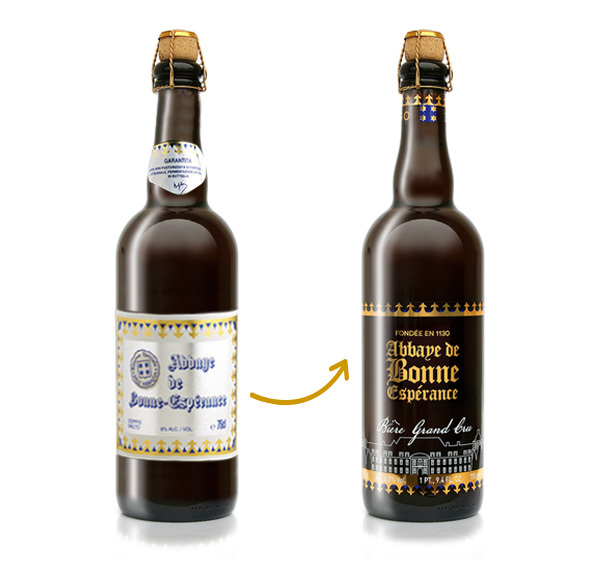 Brand:gold imprint “Abbaye de Bonne Espérance”. Pay off: white imprint Bière Grand Cru. The abbay is stylized in white. Mario Chiaradia began to cooperate with Belgian monks of the Bonne Espérance Abbey. 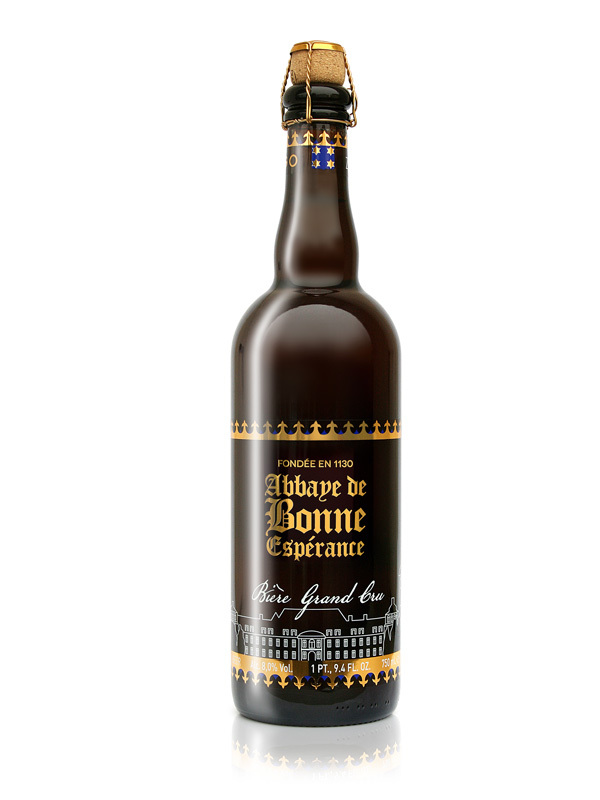 They produced a gentle recipe and called it Special Reserve of the Bonne Espérance Abbey. Zago let Italians know refermented bottled beer: Special Reserve of the Bonne Espérance Abbey was the first blond beer for catering in cl. 75 format. After fourty years Abbay de Bonne Espérance taste is still unique and unparalleled. Beer lovers and experts consider this beer one of the most superb product in the beer field.